"your soul is rooting for you"
copper charm on beaded silk cord. 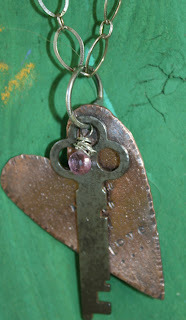 copper with antique key on sterling chain. 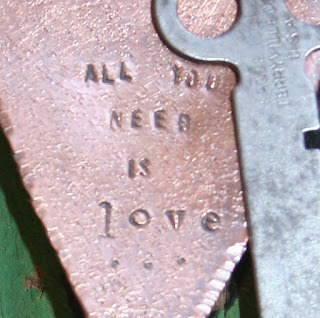 rumi quote on copper cuff....has a dragonfly wing rolled onto it. 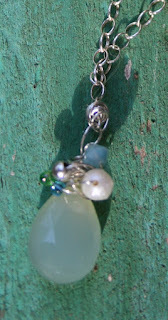 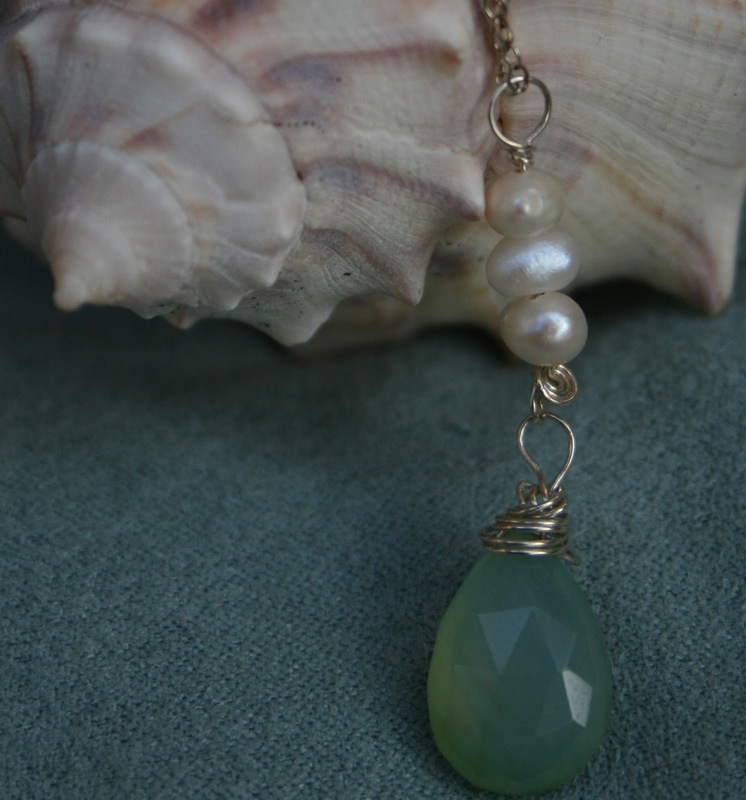 gift from the sea...with hand wrapped stone on leather cord.